The pedals are used to make alterations, which allows for three string sounds: flat, natural and sharp. The neck is the upper part of the harp which connects the column to the body of the harp. 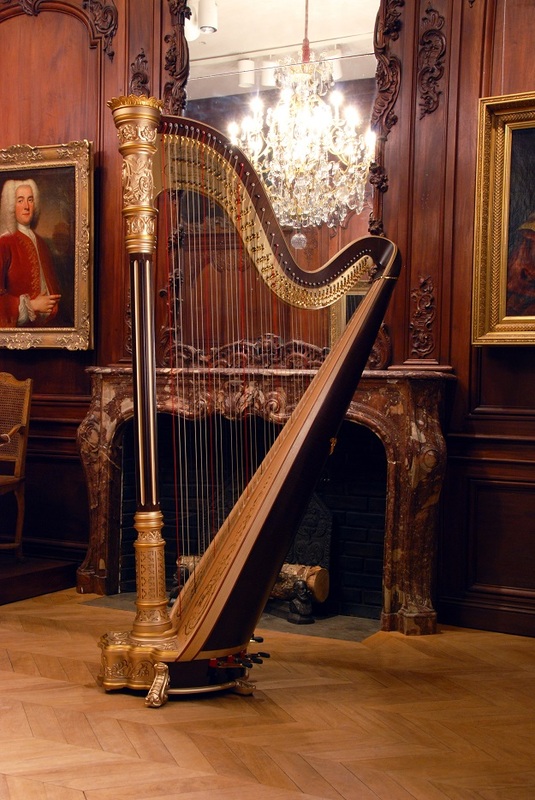 The main mechanism of the grand harp is part of the neck. The forked mechanism is connected to the pedals by steel push-rods inside the column itself. When a pedal is pressed, every disk associated with the pedal, rotates to modify the length of the string and therefore the sound of it.